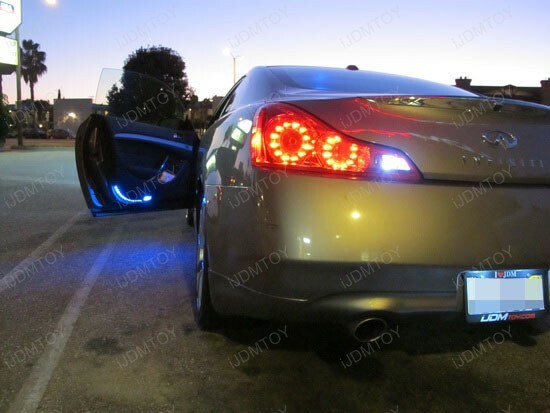 We installed all new iJDMTOY LED reverse lights on a 2008 Infiniti G37. 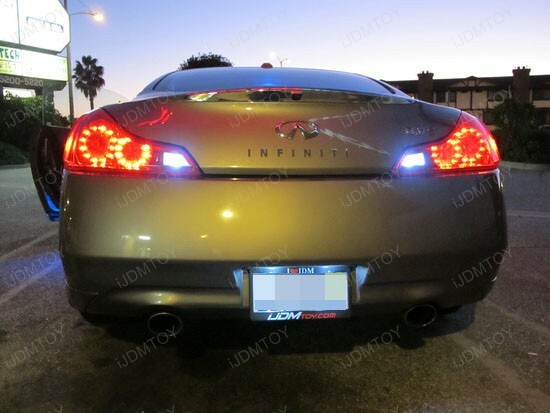 We used 9-SMD LED bulbs with 5050 SMD chips for a brighter shine. 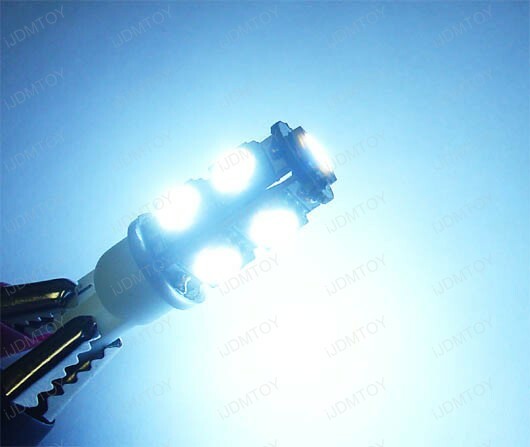 Also for this particular LED bulb, the length is longer than traditional 168 bulbs. 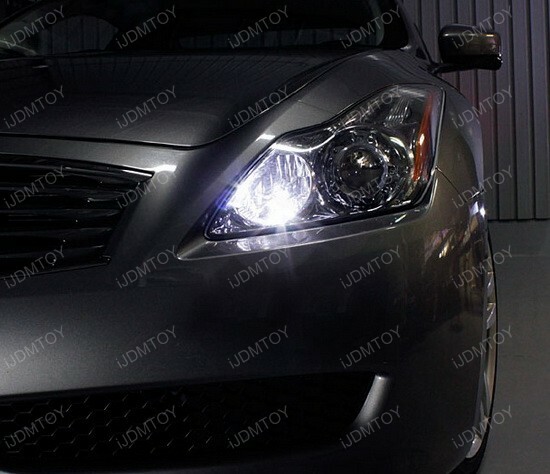 Therefore, we measured the bulb length 1.40 inches, to fit the application of reverse lights of an Infiniti G37. So the product fits perfectly! 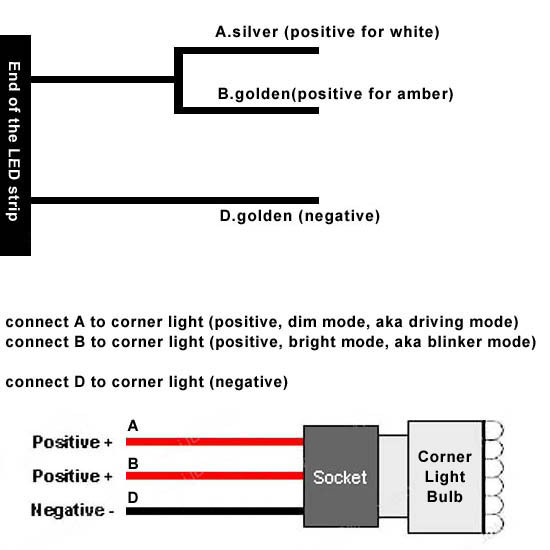 If the bulb is a good replacement, it can replace stock 168, 194, 921, 2825 bulbs. 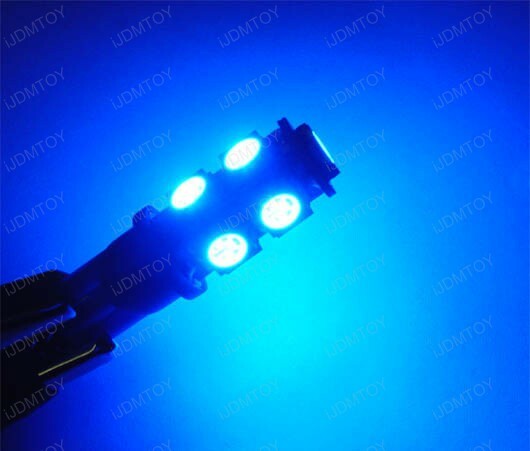 For a brighter shine, definitely go for 5050 SMD chips. 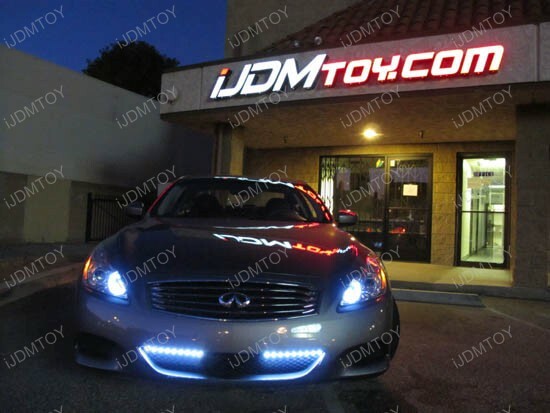 See the LED reverse lights on the Infiniti G37 outside our store. 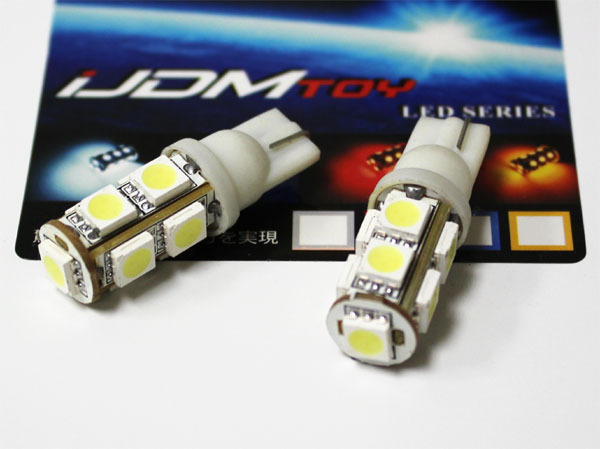 Introducing the new Audi Style LED strip lights, come in both Xenon White and Amber Yellow Dual Color Switchback Function. 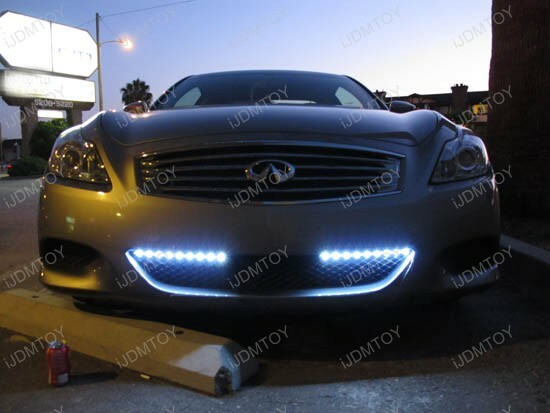 We have done installation for several cars in the past weekend. Oh, man, these look awesome! 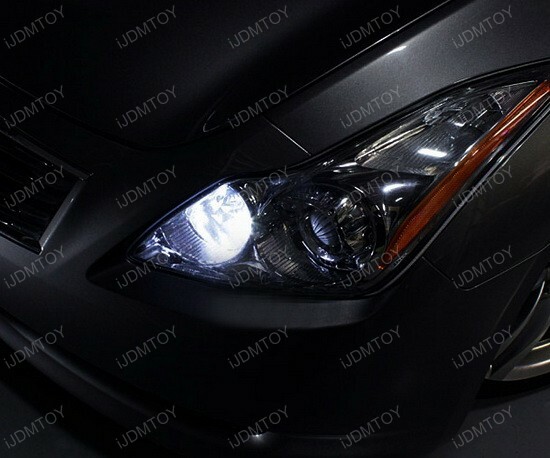 very aggressive appearance and multi-function (daytime running lights and turn signal lights). 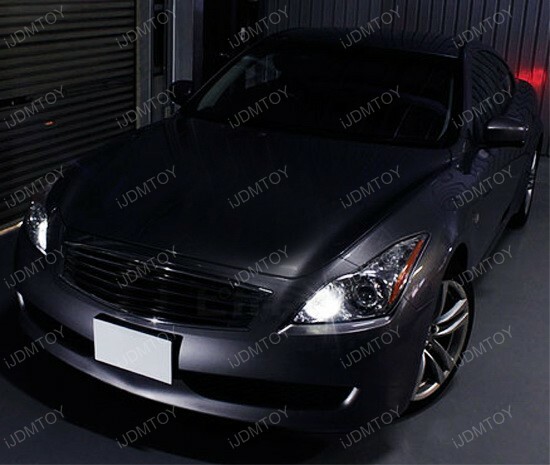 I have included couple pictures from a 2008 Infiniti G37 Coupe, a 2010 Porsche Cayman, you guys can take a look. 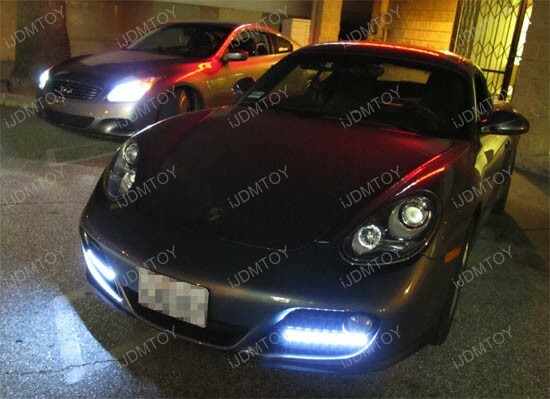 For more pictures about the LED lights we’ve sold and installed, please visit Gallery Pictures For LED and HID. 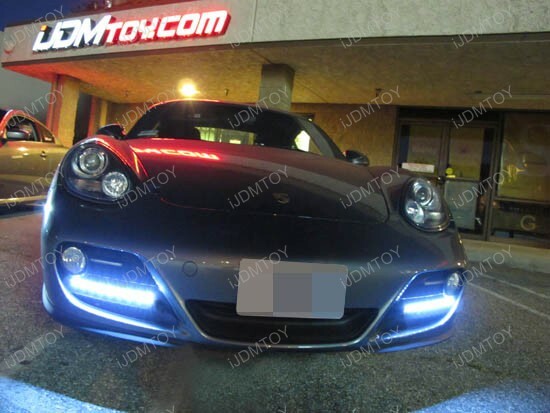 We have have the detail installation and DIY guides on our website, please visit LED Tech Support and DIY Guide. The product installed are listed below, please take a look.